The University of Michigan Board of Regents recently announced a $17.5 million commitment for cancer research from Madeline and Sidney Forbes of Bloomfield Hills, Michigan. 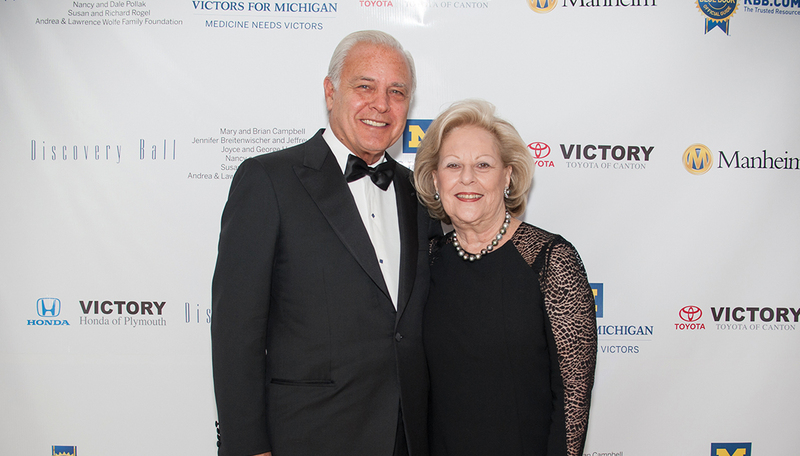 This gift to the university’s $4 billion Victors for Michigan campaign will create the Forbes Institute for Cancer Discovery within the U-M Comprehensive Cancer Center. It is the largest private donation for cancer research in the school’s history. In addition, the Forbes’ gift will advance science from the laboratory to patients by stimulating innovative technology and new therapies. It will offer team research awards for cross-disciplinary efforts — bringing together faculty from disparate areas including medicine, business, pharmacy, dentistry, engineering and public health. Such research will be aimed at developing better cancer treatments. The gift will also create Senior Forbes Scholars and Emerging Forbes Scholars programs in cancer discovery and establish the Madeline and Sidney Forbes Professorship in Oncology within the U-M Comprehensive Cancer Center. This professorship has been awarded to Max S. Wicha, M.D., who will serve as director of the new Forbes Institute. The goal of the Forbes Institute will be to encourage scientists across the university to undertake high-risk, high-reward initiatives with the potential to drive new advances in cancer research. The intent is to fuel rapid development of innovative technology and new therapies, bringing better, more targeted treatments to the 1.6 million Americans diagnosed with cancer each year. “Defeating cancer will take victors to move the process along and continue the fight toward conquering this dreadful disease. There is no better place to lead this fight, with Dr. Max Wicha heading the Forbes Institute, than the University of Michigan,” says Sidney Forbes. “Maddie and I wanted to support a cause that not only we and our children can contribute to, but that our grandchildren can perpetuate and carry on into the future. Our family is honored to be able to support this effort,” he adds. The gift builds on the exceptional academic strength of the university — in which 103 graduate programs are ranked in the top 10 nationally — and the prestige of the Comprehensive Cancer Center, one of only 45 such programs in the country. The Forbes Institute will foster collaboration across the university. This is already a hallmark of the Cancer Center: Its members come from 48 university departments across nine schools, demonstrating a breadth of interdisciplinary collaboration not seen elsewhere. “The biggest advances in cancer will come at the intersection of disciplines. It’s not medicine alone, but medicine working with engineering, pharmacy and other schools to create true innovation,” says Wicha, the founding director of the Comprehensive Cancer Center. The university has launched 55 companies since 2011. More than 10 of these companies are led by faculty affiliated with the Cancer Center. With such experience, the new institute offers tremendous opportunities to strengthen cancer research and to yield new knowledge and transformative outcomes. “This generous gift from Madeline and Sidney Forbes strengthens our ability to conduct lifesaving research originating from the University of Michigan’s remarkable academic breadth. The Forbes Institute for Cancer Discovery will be another U-M center of excellence that supports innovation among faculty from many disciplines,” says U-M President Mark Schlissel. The Forbes Scholars program will provide grants to senior investigators as well as to junior faculty. Team science awards will encourage innovative discovery by multidisciplinary teams. The institute will also facilitate the development of new technologies such as single cell genomics, which will hasten cancer drug development and personalized oncology. Technology transfer is a key focus of the institute. Institute faculty will work with industry to transfer ideas into marketable cancer therapy solutions, and pursue models of venture philanthropy that could further invigorate the Michigan biotech economy. “Our Cancer Center has a national reputation for innovation and collaboration. This gift from the Forbes family will allow us to further accelerate our interdisciplinary work in ways that should truly improve patient care,” says Ted Lawrence, M.D., Ph.D., who is the Max S. Wicha, M.D., Distinguished Professor of Oncology and director of the Comprehensive Cancer Center. Sidney Forbes founded The Forbes Company in 1966. It is a nationally recognized developer, owner and manager of luxury shopping destinations, including the Somerset Collection in Troy, Michigan, and several distinctive centers throughout Florida. What can we learn from Michigan’s Medicaid expansion plan?